It seems like a lot more than a year ago that we nervously signed up to take part in the British BBQ Society Mayhem in May competition. Its now Pitmasters – and we just can’t wait to get back into the fray for the new season. Last year we came back with a few bits of glass – a couple of 2nds and 3rds, but didn’t bother the top spots at any point. But that’s ok, at BBQ Fanatics we’re about doing it from scratch and having fun – with real fires, wood, simple equipment and crap tents. Now remembering our nervousness, a note to readers who are thinking about taking part. 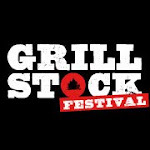 Just go for it – the meat is part of the entrance fee (£150) and the site is well provisioned for the competition, the people are really friendly, its even family friendly and there’s loads of good BBQ going on.